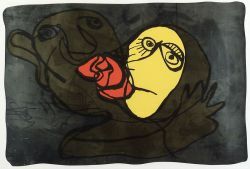 The Kiss, 1975, edition of 60. Signed and dated "Appel/75" in pencil l.r., numbered "19/60" in pencil l.l. Silkscreen with gold and silver foil, 29 1/2 x 40 in. 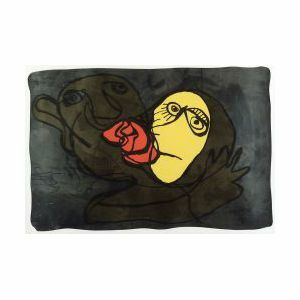 (74.9 x 101.6 cm), framed. Condition: Not examined out of frame.